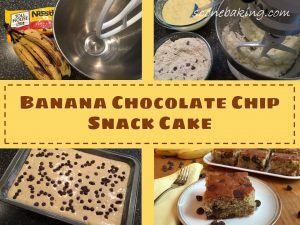 Bananas and chocolate are the perfect combination for a snack cake. 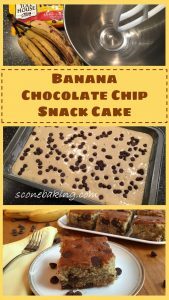 In my Banana Chocolate Chip Snack Cake you get a light and moist cake with a wonderful banana flavor, and chocolate chips in every bite. 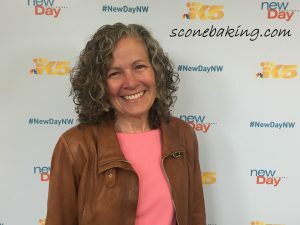 This cake is easy to make and, oh so delicious. 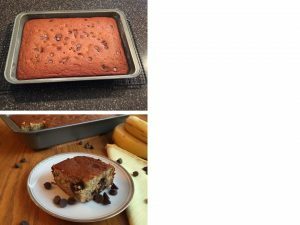 When making this snack cake, be sure to let your bananas get really, really ripe, because they’ll be sweeter and have a more intense flavor. 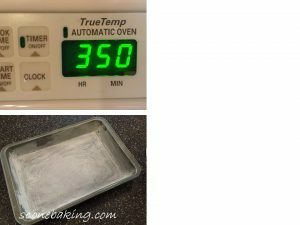 Preheat oven to 350 degrees F. Grease and flour 13″ x 9″ baking pan. 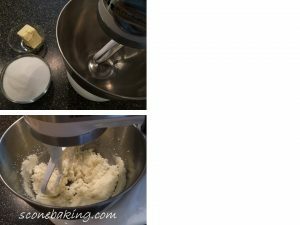 In a large mixing bowl, cream together butter and sugar, until smooth; about 5 minutes. 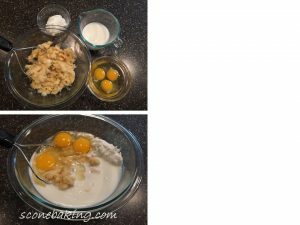 In a medium bowl, mix together mashed bananas, yogurt, eggs, and buttermilk; until well blended. Set aside. 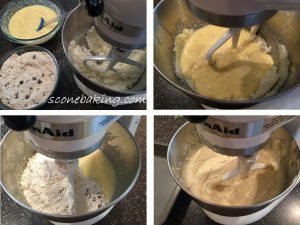 In another medium bowl, whisk together flours, baking powder, baking soda, and salt. 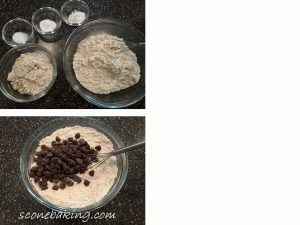 Mix in 3/4 cup chocolate chips into dry ingredients. Add banana mixture to creamed butter-sugar mixture; beating on medium speed until blended; about 30 seconds. Add dry ingredients, beat on medium speed until blended; about 3 minutes. Yes, the chocolate chips are getting mixed in too. 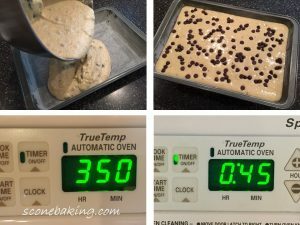 Pour batter into prepared baking pan, sprinkle 2/3 cup chocolate chips on the top. Bake at 350 degreesF. for 45-50 minutes, or until toothpick comes out clean (or the middle reaches 210 degrees F. on an instant read thermometer). Let cool completely, then serve.